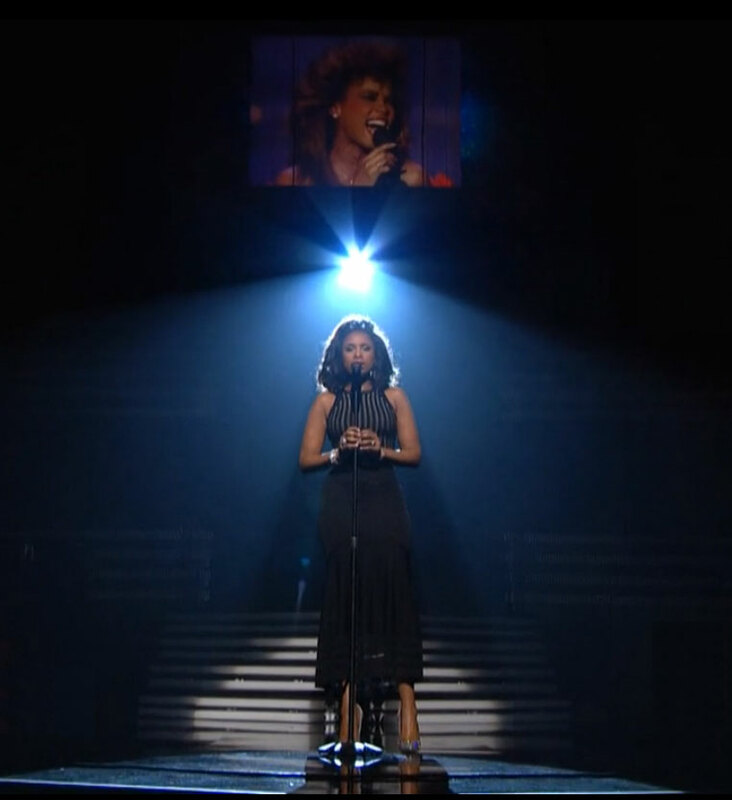 With the loss of one of the music industry's brightest talents only two days before the 2012 Grammy Awards, it was obvious that Whitney Houston would be at the forefront of everyone's mind during the ceremony. And his handling of the segment couldn't have been more spot on, being kept simple with just a piano, a voice, one spotlight and Whitney Houston's biggest hit, I Will Always Love You. Of course, tributes to the fallen star came from all who took to the microphone, so great was her influence and regard amongst her peers. But it was left to singer Jennifer Hudson, who many consider Houston's rightful heir, to deliver the only musical tribute. Beginning with no backing, and just silhouetted, Hudson's voice immediately stirred up memories of Whitney Houston- with her weight, timbre and the use of head voice. Almost from the first word sung she had successfully reminded the world, including myself, of what we had just lost. It was a sense of loss that listening to Whitney Houston albums over the last few days hadn't managed to excite in me. Perhaps the reality of her passing had just hit me, or maybe it was because Hudson had reminded me that Whitney Houston really burned brightest in a live context. Whatever the case, watching this performance was deeply moving. It was a sombre and restrained rendition, that walked that fine line of being strong and impressive, but without ever being about anything other than the person honoured. A real testament to Hudson's talent as a vocalist. The emotional tribute ended with the line "Whitney, we will always Love you", and in doing so it not only echoed the sentiment of every person in that hall, but those of everyone who truly love music. Rest In Peace Whitney Houston. Soooooo agree with you, I think in regards to covering such a legendary song only someone like Jennifer could. Truly Beautiful singing poured out from her, you could clearly see, hear and feel her emotions! Big props to Jennifer for pulling this off on such sort notice!! I've got a new respect for her. They had to find someone who is equally powerful- vocally and emotionally- to deliver this song. And no other person can do that but Jennifer Hudson. Remember when J.Hud sang I Will Always Love You at the BET at the BET Honors 2010? Whitney was like a proud mama, full of support. I just have to say; Hudson is the new Houston.